We know that you are fabulous, but let the glam spill over into your cupcakes and you'll be sure to leave a lasting impression with your guests. 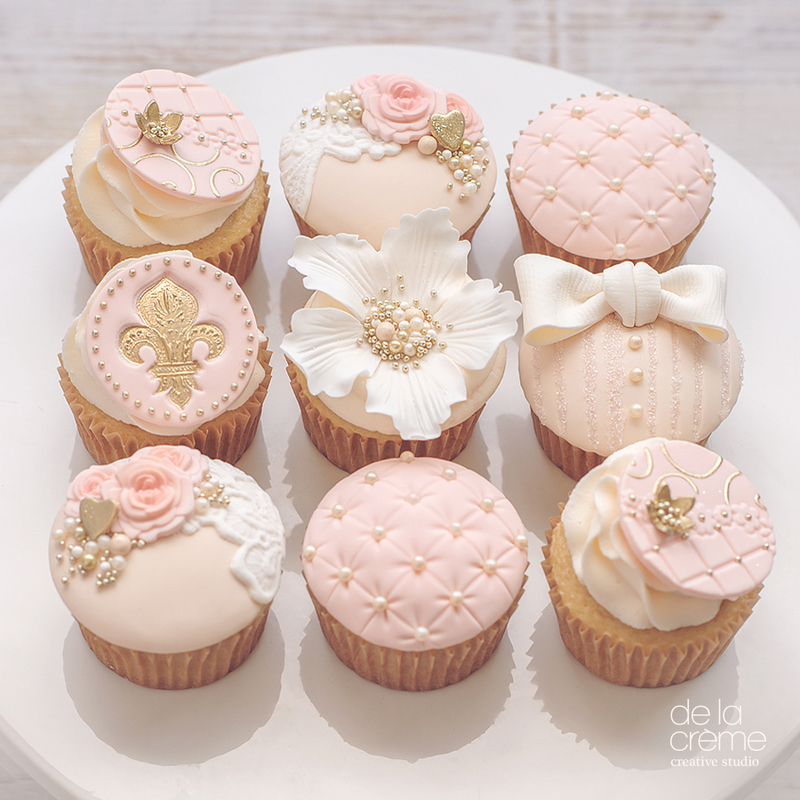 These custom little beauties are dressed in dazzling gold details and accessorized with pearls of the edible variety. Add in swirls of french vanilla buttercream and you're in cupcake heaven. 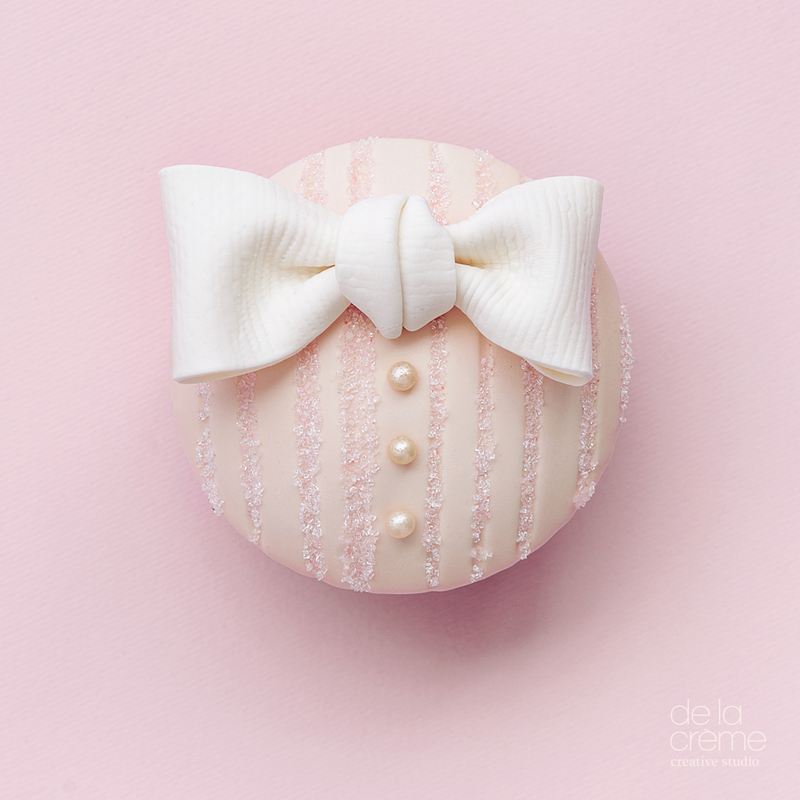 Perfectly tailored in pink pinstripes and embossed with a fleur-de-lis suitable for french royalty, this cupcake set is rocking the pink glam to the next level—an absolute must for any high-fashion bridal shower or event!